We know that you have choices when purchasing a New Kia. At Lawrence Kia, we have built many programs to set us aside from the competition. When you purchase a New Kia Model, you will receive a Complimentary True Lifetime Powertrain Warranty and our Platinum Protection Plan. Lawrence Kia will cover 24/7 Emergency Roadside Assistance, Paintless Dent Repair, Key Fob Replacement, Windshield Repair & Protection and Tire/Wheel Repair and/or Replacement. Roadside Assistance is there for you when others are not. If you are stuck on the side of the road with a flat tire, empty gas tank, etc. 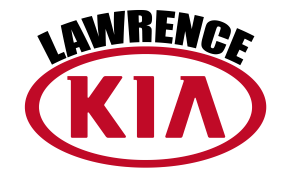 call Kia Roadside Assistance and they will pick you up where you are and take you to the nearest Kia location. With unlimited mileage, you cannot beat this perk. Has someone door dinged you? Is there a minor dent in your car? With the Platinum Protection Plan, you can have minor dents and dings repaired for free. Your car will look like brand new for no charge! Not only are key fobs expensive, but they are the only way you can drive your vehicle! With this plan, you can spend up to $800 a year to have your key fob replaced if it is stolen, lost, or destroyed. Now you will not have to worry about what happens if you lose your key fob again. Did a rock hit your windshield when driving? Did it leave a minor chip? No worries there, the Protection Plan will cover minor chip repairs on your windshield. Your windshield will be brand new in no time! Have you gotten one too many flat tires, or hit the curb on multiple occasions leaving your rim with damages? Well with this Platinum Protection Plan we are offering to cover all of that and more. Flat tire? Fixed! Rim damage? Fixed! Your tires are protected, it cannot get better than that!